There is a small concern about the lack of discipline amongst many a wannabe singer. If you want to become a great singer, you need to be organized with your training regime. It breaks my heart to see people running to the recording studio to cut a record when they’re actually not ready for it. It is imperative that you aim to be the very best you can be. Take pride in your work. It will speak volumes about you and as a result, when you go that extra mile, you’ll deliver a product you can be proud of. This article will explore the challenges a lot of people face and it will help you with ‘planning’ in order to achieve your goals. Training the voice and keeping it trained and revved up is where most fail. In all honesty, it is so easy to stay on top of this. I want to show you how to set your mindset for the challenge. It really is quite simple when you put your mind to it. 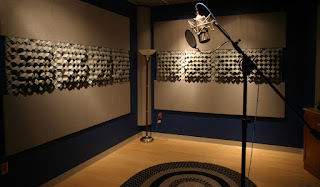 First, you must begin by allotting a day and time to do your voice training. If you’re working with a vocal coach, make sure your training days are set on a weekly schedule, and whatever you do don’t miss your vocal training slots. If you’re training from home with the help of prerecorded tapes, then you will need to be even more vigilant in order to stay on track. The habit to train regularly will begin to grow on you over time and eventually, you’ll come to realize that you simply can’t do without it—because you’re now aware of the benefits and you’re enjoying the experience. Trust me… this is where you’ll want to be. People ask a lot of questions about vocal training and listen to a lot of word-on-the-street. And it’s alright to want to know about a lot of stuff, but in my experience when you focus more on being a doer you’ll get bigger and better results. Like I said, ask the questions but don’t make it the only thing you do. Get with the program. Let your God given organ—the voice—do the work in training to yield the results that you want. So, if you want to become successful with training your voice, discipline is far more important than anything else. If you haven't as yet downloaded Joett Vocal Drills Vol. 1 to 6... Click Here! I love Celine Dion. I think she has an amazing voice and a lot of the new generation of singers will have Celine Dion to thank for influencing their musical direction. In this article I want to go over a couple of interesting facts on the extraordinary vocal range and profile of Celine Dion. First of all, her vocal range, according to avid critics of music is Bb2 - C6 - E6; and her longest note is an astounding 15 Seconds. Her vocal type on the other hand is lyric soprano 3 octaves 3 Notes. Her vocal positives are deeply enshrined in resonant belts, which she is able to hold for long periods of time, without the slightest wavering in pitch. The sharpness of her vocal in this particular register allows for her voice to pierce through the heaviest instrumentation. In actual fact, Celine projects her voice in all registers, and maintains vocal agility throughout each octave. Looking closely at her lower notes, you’ll find that they are generally well supported down to D3, with the mid-range sometimes carrying a rasp, but all in all it is soft and makes lyrical lines with ease, and her mid-range transitions into the belting register with remarkable ease. Celine Dion’s head voice carries an operatic ring to it, which is rather refreshing for a genre transcendent pop diva. I personally wouldn’t publish vocal negatives of Celine Dion. I think she is one to emulate, however, some critics of music have had a thing or two to say about her negatives and they are as follows. The nasally quality to Celine's voice—they say, is an acquired taste, though this quality isn't one of bad technique however, as singers in Quebec place their voices in the nasal cavity. Well then, I suppose that’s understandable. Another comment goes, “though Celine manages a neutral larynx in the lower part of her range, belts around Eb5 and higher are hit by raising the larynx, which gives the voice a throaty and coarse quality”. They also go on to say that her mixing is also uneven from about A5-C6, making the belts thin and heady. That being said, they go on to acknowledge that it is remarkable at all that she can mix at all that high, and conclude that her notes below D3 become very breathy, while intonation and register transitions as a whole are inconsistent. I hope you’ve enjoyed this analysis on Celine Dion’s voice. I’d like to leave you with some recommended tracks to listen to: All By Myself, I Surrender (Live in Las Vegas), My Heart Will Go On. Mara kwa mara nakumbana na hili swala… kwamba watu wanaamini yakua kuna kitu kinachoitwa ‘kuimbia tumboni’. Kiukweli, hicho kitu hakipo kabisa. Nimeona niandike nakala hii ili kuweza kuwafahamisha vizuri. Binadamu haongelei tumboni. Halikadhalika hawezi kamwe akaimbia tumboni. Tunapozaliwa, kitu cha kwanza kabisa tunafanya ni kulia na kuvuta pumzi tumboni kama watoto wachanga ambao ndio kwanza tunaiona dunia. Hiyo ndio njia asilia ya sisi wanadamu kupumua. Nnanzia mbali ili mnielewe. Kwahiyo basi, pumzi linapaswa kuvutwa hadi linaingia tumboni. Wanadamu tunapokua wakubwa, tunatabia ya kubadili jinsi ya kupumua kwa kupumulia ndani ya mapafu tu... na ndio chanzo cha matatizo. Ngoja nikupe mfano. Unapolala kitandani utakuta kwamba pumzi lako linaingia tumboni… utaona kabisa tumbo lina vimba na kushuka na lile pumzi. Sasa basi, twende kwenye kuimba. Pumzi la kuimba ni lile letu asilia ambalo linaingia tumboni—ambapo kunayo nafasi kubwa zaidi hata ivyo—na ndicho kinachotuwezesha kuimba kwa urahisi bila ya kuishiwa na pumzi, na vile vile tukasikika vizuri. Maana bila pumzi, hakuna sauti. Kwa hivyo basi, binadamu hatuimbii tumboni bali tunavuta pumzi ndani ya tumbo (deep diaphragmatic breathing) ili kuimarisha sauti tunapoimba. Natumaini mtakua mmenufaika na hii nakala yangu ya leo kuhusu swala nyeti la umuhimu wa tumbo lako katika kuhifadhi pumzi na kukuwezesha katika uimbaji. Ku Download Zoezi La Pumzi Mkito, bofya hapa! Tarehe 17, Jan toleo la tano la Joett Vocal Drills lina drop Mkito.com. 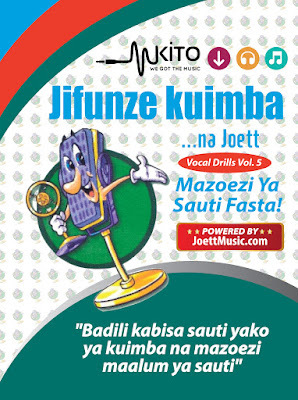 Natumaini mpaka sasa mtakua mmesha download na kufanya mara kwa mara Zoezi La Pumzi, Vol. 1, 2, 3 & 4. Jinsi pekee ya kukuza kipaji chako ni kufanya haya mazoezi mara kwa mara... angalau mara 3 kwa wiki. Tafadhali zingatia hilo. Ni muhimu sana. Sasa katika toleo hili la tano, muda muafaka umewadia kutumia sauti yako ulio ijenga katika mazoezi, kuimba wimbo Color Me Beautiful pamoja na guitar. 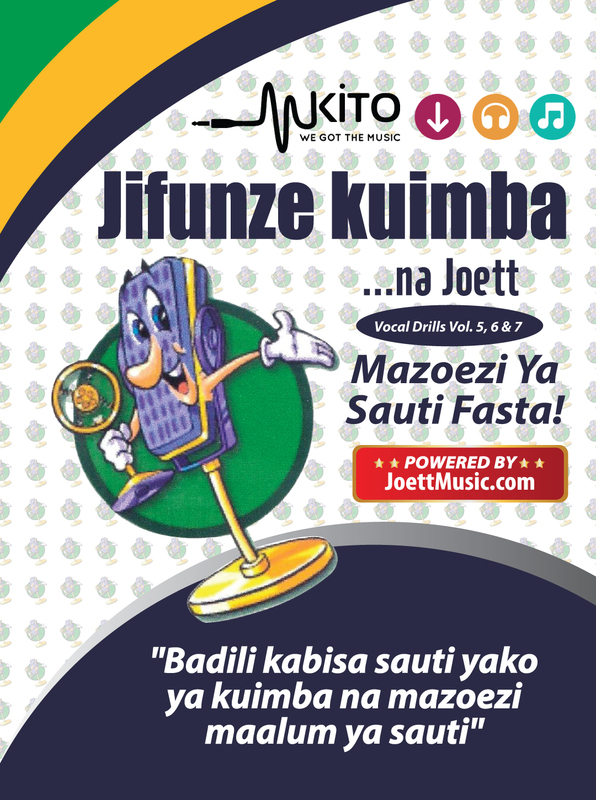 Nimegawa mashairi kwa mistari ili uweze kufanya zoezi na sauti kwanza kabla ya kuimba na guitar pekeyako. Mashairi kwa zoezi hili yapo hapa chini. It’s all over the internet today with headlines that read “Mariah Carey closes 2016 with disastrous NYE performance”; and one that goes “Red-faced Mariah Carey storms off stage after New Year’s Eve show glitch.” And here’s a rather drastic headline “Mariah Carey bungles her New Year's Eve show, stops singing." But what REALLY happened here? Mariah was booked for a three-song performance of Emotions, We Belong Together and Auld Lang Syne at Times Square New Year’s Celebration, but she stormed off the stage after her second number. It has been reported that Mariah barely moved her lips during a disastrous performance of “We Belong Together” and after the second song “Emotions” she walked off the stage completely. Let me tell you what I think really happened here. I’ve analyzed videos of Mariah Carey performing the two songs and here’s my quick review: Her rendition of the song “We Belong Together” was a complete lip synch job, and it appears she couldn't even be bothered to lip synch anyway—for the most part. How hard is it to hear your own voice over the speakers Ms Carey? If the ear monitors aren’t working, pull them out! In any case, she had intended to lip synch so it really didn’t matter. With the song “Emotion” someone put on the backing track instead of the vocal track. So she couldn't sing—for reasons best known to her. She’d intended to lip synch this one too by the looks of it, that’s the problem. But what I noticed on the backing track, surprisingly, is that her dizzy high notes on Emotion 'on the backing track' ARE prerecorded. Which means, when she DOES sing to the backing track her high notes on this particular song she-does-not-sing-live. Phew! The last time I checked, sound checks were done for live performances. But don't get me wrong, we love you Mariah and we always will. Keep doing what you do babe, you’re entertaining us anyways.